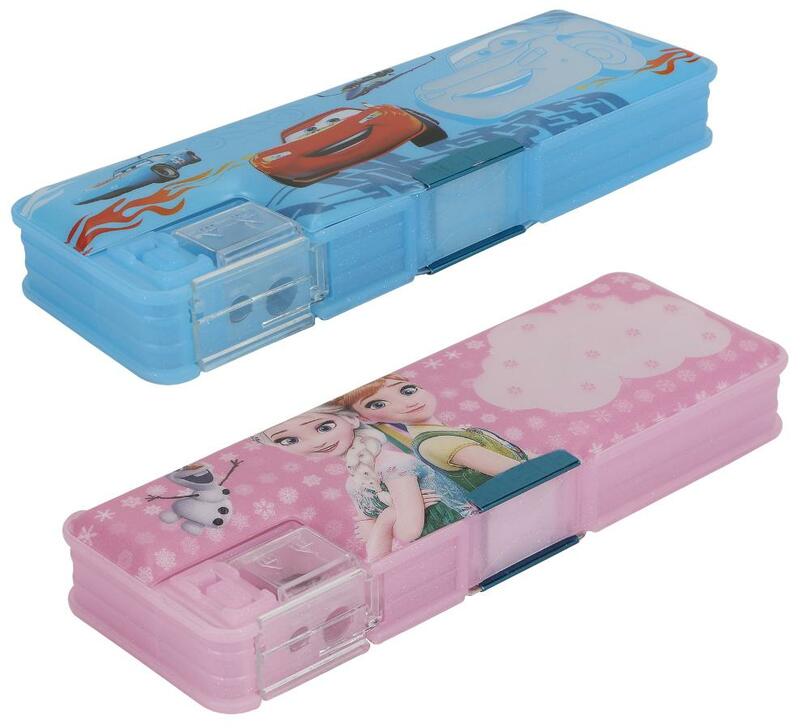 ASERA Car and Frozen Character multifunctional pencil case;including a sharpener and the pen cap inside;convenience you daily use. Made of good quality plastic material;no toxic;eco-friendly;lightweight;and compact size that easy to carry or storage. Have double compartments;which keeps desks neat and organized and it is compact to fit in the backpacks. Spacious space that can put pen;pencil;erase;coins;or other small things. Great gift for the children;students.